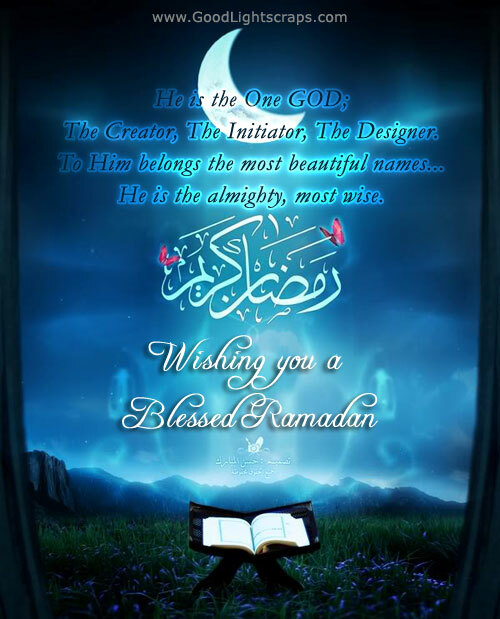 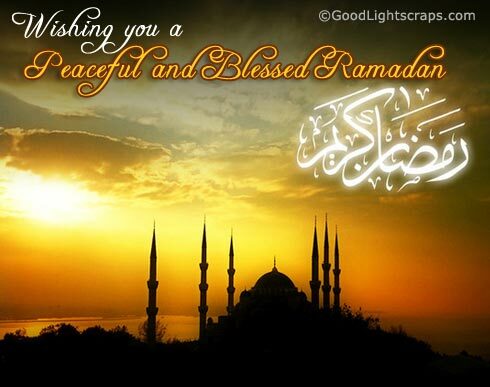 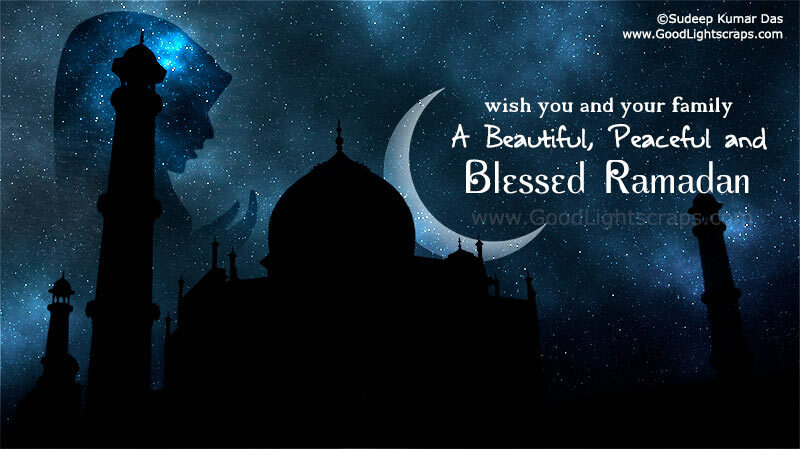 Ramadan Kareem 2018 greetings & ecards, Ramzan mubarak quotes, wishes and images. 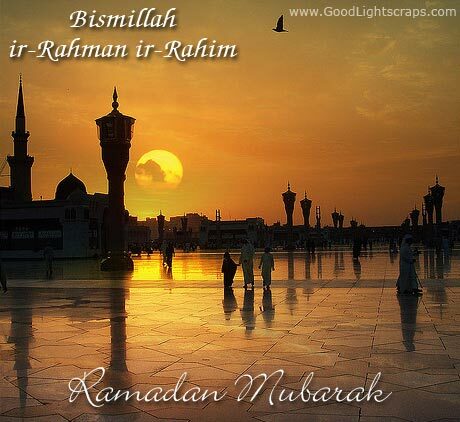 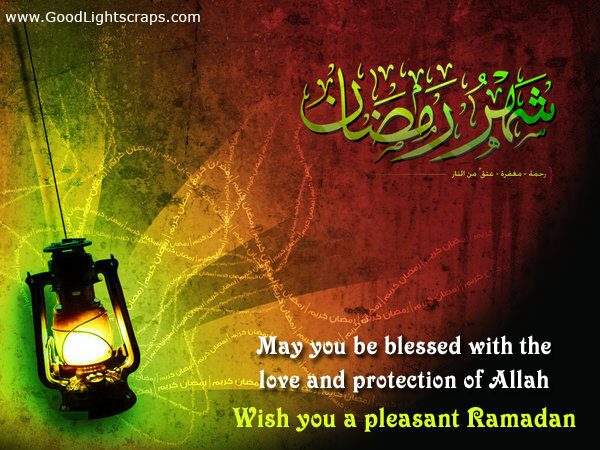 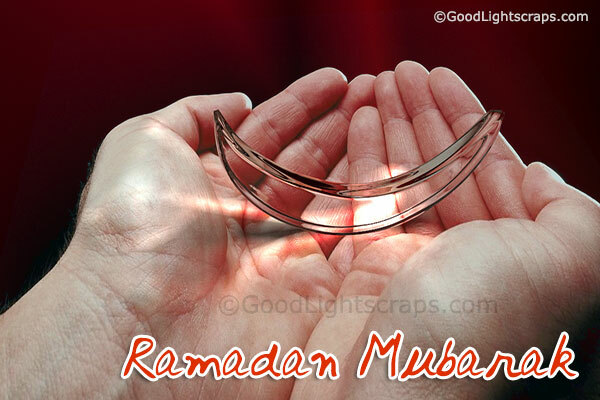 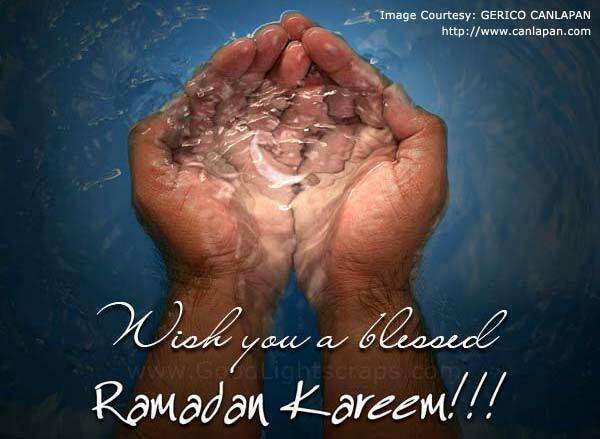 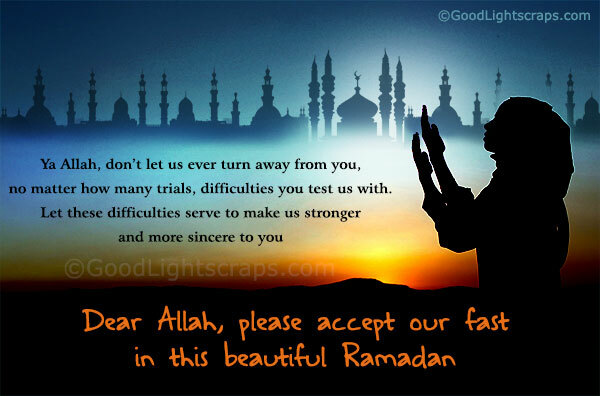 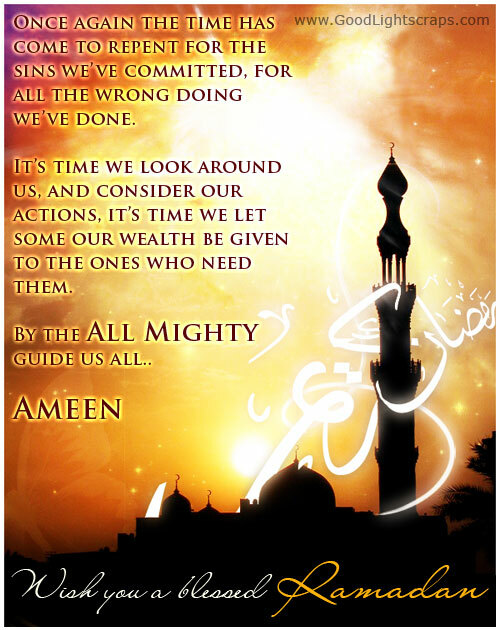 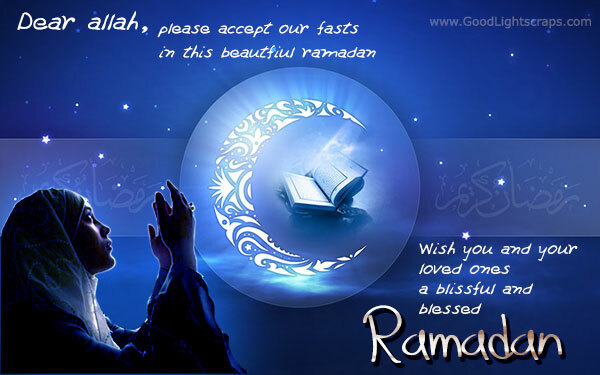 Ramadhan or Ramadan Kareem also known as Ramzan is an auspicious holy occasion of Islam. 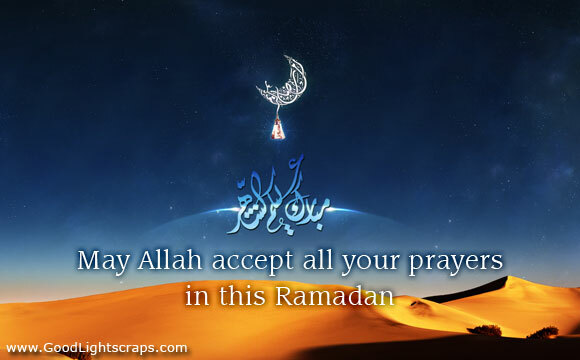 Ramadan is an auspicious opportunity for believers to renew their commitment to their Creator and the Sovereign of the Day of Recompense. 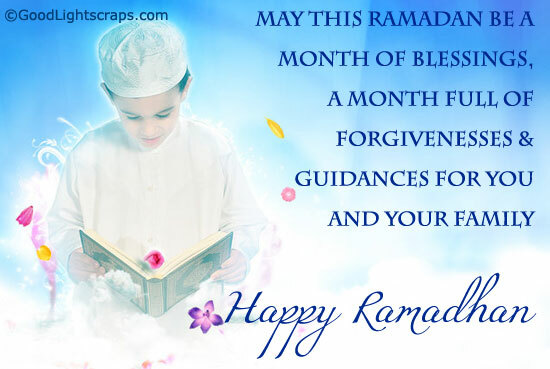 Wish happy ramadan to your friends, relatives and love ones in this holy period and send Ramadan Sms, ramadan scraps, images, glitter graphics, e-cards at social networking site.